Our 700 cc Yamaha Grizzly Quad bikes will be waiting outside the meeting palce. There we give you a brief security talk and show you how the bikes work. 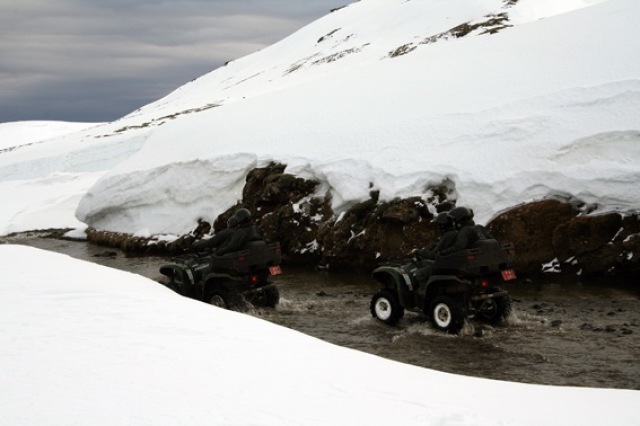 Then we go for a full throttle ATV bike trip along the mountains and up to a mountain valley close by. 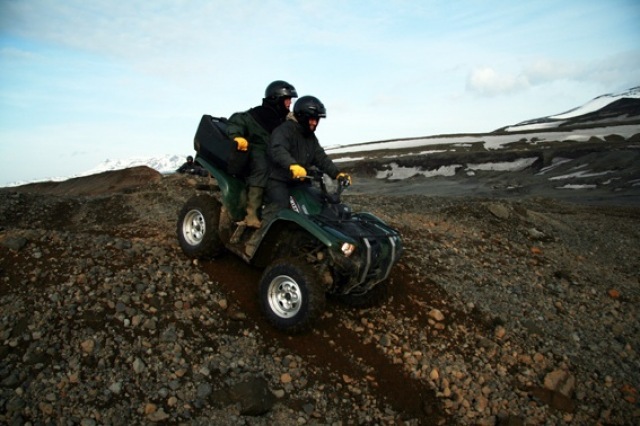 Racing through the lava fields is a truly exciting adventure and a great way to explore the hills and mountains on the outskirts of Reykjavik. Half way through our trip we will stop at the Leiðarendi lava cave. Walking down into a lava cave and discovering the marvels that volcanic activity has created in the past is a trip that everyone can undertake. The Leiðarendi cave is a perfect example of an Icelandic lava tube and is situated in one of the most active volcano areas in the world. We will climb, crawl and walk on our travel beneath the surface. Two persons per bike. Solo biking also available. 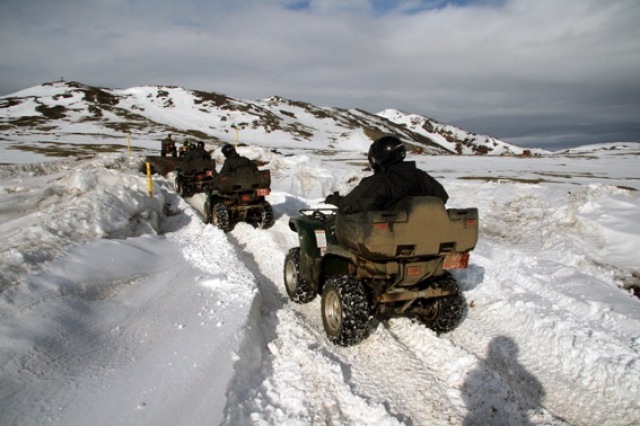 Requiered: A valid driving license for the ATV´s. Included: ATV bike ride & cave tour. 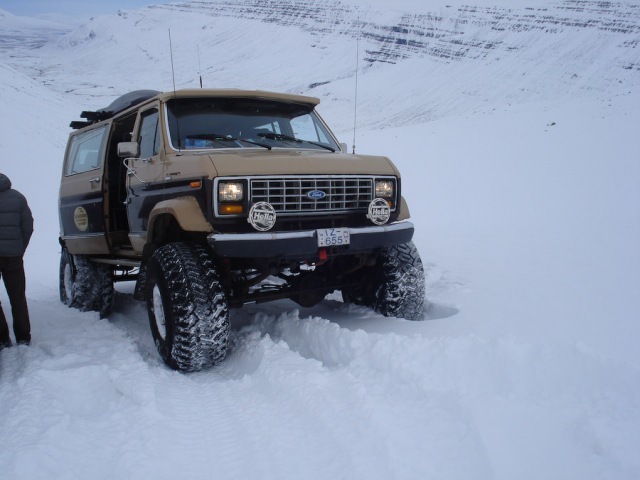 For small groups (up to 14 pax) drop off in Reykjavik is included.